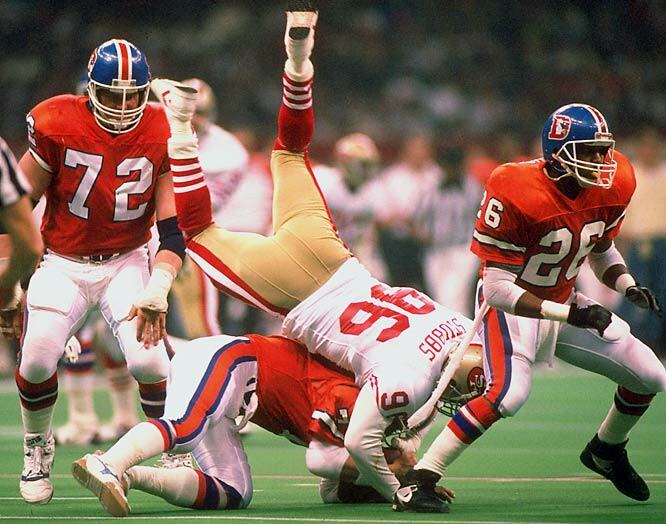 I was only 15 when the San Francisco 49ers pulled down the collective pants of the Denver Broncos in Super Bowl XXIV (1990). I wasn’t legally allowed to bet, but I somehow convinced my mum to go into our local high-street bookmakers and put £5 on the 49ers winning the game by 35 points or more. Made a small fortune that weekend, but more importantly the memory of Joe Montana clinically tearing apart the Broncos secondary was one I will never forget. Anyone who witnessed the sub zero coolness of Montana in his previous three Super Bowl appearances would not have shown an iota of surprise as the team in orange were squashed like a bag of Jaffas in a juicer. I’m sure this game in some small part influenced the decision to bring the Denver Broncos and the San Francisco 49ers to London to play in the fourth annual NFL International game in England. These were two teams that in the 1980s would have inspired people from across the UK to find a home in their heart for the NFL, either as glory supporters (like the sheep over here in England that started supporting the Patriots after 2000), or as fans of the eternal underdog. Anyone becoming (and staying to this day) a Broncos fan after seeing the guts it took John Elway and his team mates to embark upon another NFL season after being slaughtered in three Super Bowls in a four-year stretch, deserved total respect in my book. 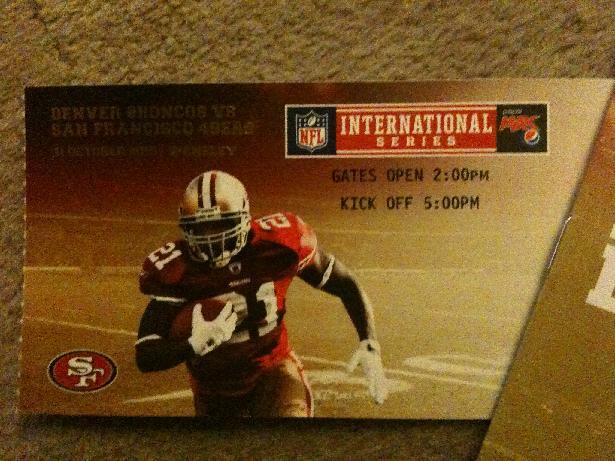 I wonder how many other fans have booked tickets to see the 49ers v Broncos at Wembley Stadium on Halloween 2010 will dust down their NFL memory archive and remember the day Montana, Rice, Craig and Rathman looked like school bullies who had not only stolen the Broncos players lunch money, but had them marched the down to the bank one by one and ordered them at gunpoint to withdraw all their cash and give it to the team in red and gold. Who else remembers Super Bowl XXIV so fondly?